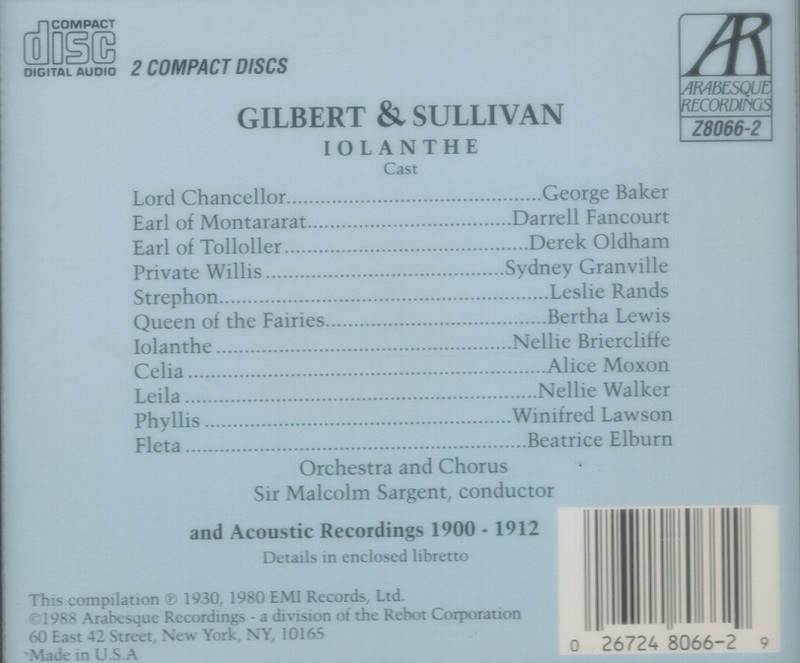 “IOLANTHE, or, The Peer and the Peri is a comic opera with music by Arthur Sullivan and libretto by W. S. Gilbert. It is one of the Savoy operas and is the seventh collaboration of the fourteen between Gilbert and Sullivan. 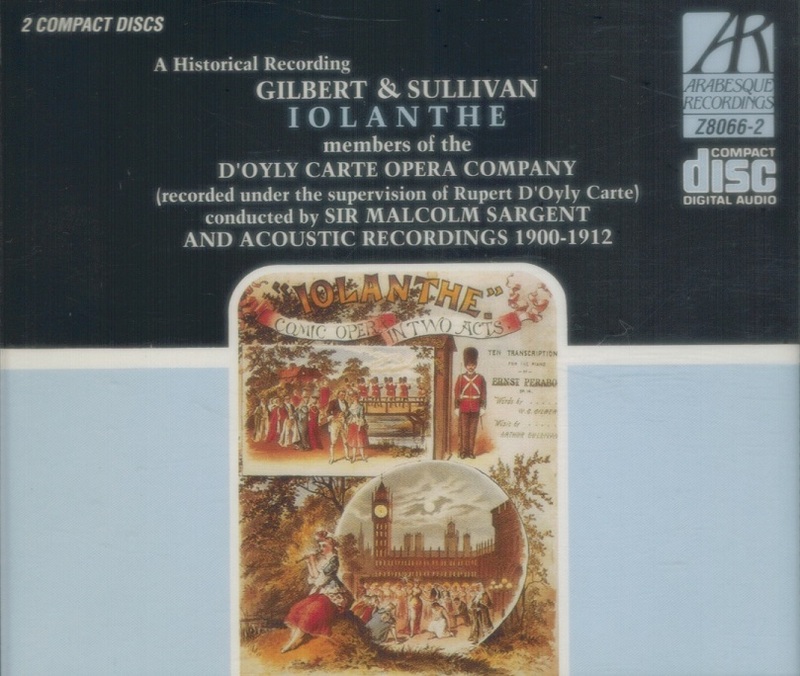 IOLANTHE was first produced in London at the Savoy Theatre, on 25 November 1882, three days after PATIENCE closed, and ran for 398 performances. It was the first of Gilbert and Sullivan's operas to premiere at the Savoy Theatre. The story concerns a band of immortal fairies who find themselves at odds with the House of Peers. The opera satirises many aspects of British government and law. The opening night of IOLANTHE was an occasion for what must have seemed a truly magical event in 1882. The Savoy Theatre was the first theatre in the world to be wired for electricity, and such stunning special effects as sparkling fairy wands were possible. Gilbert had targeted the aristocracy for satiric treatment before; in this ‘fairy opera’, the House of Lords is lampooned as a bastion of the ineffective, privileged and dim-witted. The political party system and other institutions also come in for a dose of satire. Among many potshots that Gilbert takes at lawyers in this opera, the Lord Chancellor sings that he will ‘work on a new and original plan’ that the rule (which holds true in other professions, such as the military, the church and even the stage) that diligence, honesty, honour, and merit should lead to promotion ‘might apply to the bar’. 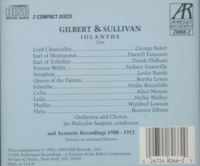 Throughout IOLANTHE, however, both author and composer managed to couch the criticism among such bouncy, amiable absurdities that it is all received as good humour. In fact, Gilbert later refused to allow quotes from the piece to be used as part of the campaign to diminish the powers of the House of Lords.